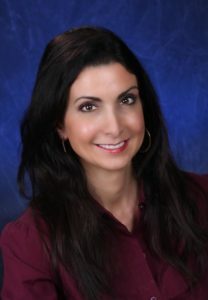 My name is Stephanie Perrin and I am the President of Two Rivers Tax and Accounting Service. Thank you for taking the time to allow me to tell you more about my company and a little about me as well. Our goal at Two Rivers Tax and Accounting Service is to simply take the hassle and challenge out of tax preparation and financial management by offering great customer service, competitive pricing, and flexibility in a friendly, yet professional environment. We will provide practical and innovative solutions customized to meet all client needs. We are not one size fits all and will take the time to understand and work with all existing and potential clients regardless of their size and bottom line. Choosing a financial professional can be a difficult decision especially if you already are working with one and are looking for a change. When choosing, it is important that you feel comfortable with the education and experience of the financial professional with whom you will be relying on for your personal and business finance needs. I began my career in finance and accounting and received an undergraduate degree from Monmouth University in 1991. I have over 25 years of experience in finance accounting and reporting, audit, internal controls, SOX compliance, and tax planning and preparation for various industries including consumer product manufacturing, real estate development, construction, government, and non-profit organizations. I have been a Certified Public Accountant (CPA) in New Jersey and Pennsylvania since 1996 and am truly passionate about what I do. Some may even call me a “tax junky,” but what I find most rewarding is helping businesses and individuals manage their finances and get desired results which is why I decided to open my own private practice in 2010. Since then I have built my client base purely through referrals and word of mouth which is the greatest compliment of all. When choosing an accountant or anything to do with personal or business accounts, trust is paramount. I am emotionally attached to every account and manage all accounts with the upmost care and attention to detail. Confidentiality and security of information is a primary focus of mine. I have excellent reviews on Google and my reputation when it comes to ethics, reliability, trustworthiness and security of information is impeccable and one I am very proud of. Aside from my experience in preparing and reviewing tax returns I have ample experience in responding to IRS and State agency notices which have resulted in successful outcomes. Continuous education on tax law is very important to me so that I am always up to speed with current tax law. I do extensive research on tax issues when they arise and I keep abreast of the latest trends and updates. It would be a daunting task to know every tax code, but knowing where to look and staying current on New Jersey tax law is an important aspect of preparing returns and tax planning for clients. My focus is to make clients feel comfortable during the process by educating them and explaining the outcomes and options of their finances and tax returns. I always advocate that exceptional client/customer service is just as important as an accurate tax return or accurate financials. My goal with every account is to provide the highest value possible and personal service that is unmatched. Many times, our services pay for themselves based on the money saving strategies that are deployed. Honesty, integrity, and a passion for excellence are the signatures I stamp on every account. I look forward to meeting with you and initial consultations are always free of charge without any pressure or obligation.